Explore Perth's surroundings by going to Fremantle (Fremantle Prison & Fremantle Markets). Dedicate the 20th (Wed) to wine at some of the top wineries in the area. 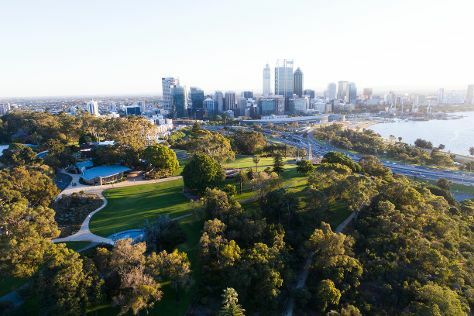 There's still lots to do: take in nature's colorful creations at Kings Park & Botanic Garden, explore the activities along Swan River, pause for some serene contemplation at St Johns Lutheran Church, and pause for some photo ops at Kings Park War Memorial. For maps, ratings, more things to do, and tourist information, you can read our Perth day trip planning website . Manchester, UK to Perth is an approximately 23-hour flight. Due to the time zone difference, you'll lose 8 hours traveling from Manchester to Perth. Traveling from Manchester in March, expect Perth to be much hotter, temps between 34°C and 19°C. Cap off your sightseeing on the 20th (Wed) early enough to travel to Denmark. On the 21st (Thu), look for gifts at The Denmark Heritage Cider Company, then kick back and relax at Anvil Beach, then tour the pleasant surroundings at Lowlands Beach, and finally enjoy the sand and surf at Cosy Corner Beach. 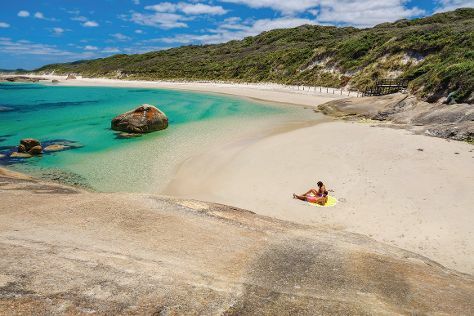 Get ready for a full day of sightseeing on the next day: kick back and relax at Lights Beach, then enjoy the sand and surf at Greens Pool, and then explore the striking landscape at Elephant Rocks. To find ratings, traveler tips, maps, and tourist information, go to the Denmark tour planner . You can fly from Perth to Denmark in 5 hours. Alternatively, you can drive; or take a bus. Prepare for a bit cooler weather when traveling from Perth in March: high temperatures in Denmark hover around 27°C and lows are around 15°C. Finish your sightseeing early on the 22nd (Fri) so you can drive to Margaret River. Explore Margaret River's surroundings by going to Augusta (Cape Leeuwin Lighthouse & Jewel Cave) and Meelup Beach (in Dunsborough). Spend the 23rd (Sat) on a tasty journey with a beer tour and tasting. There's still lots to do: savor the flavors at Food & Drink, Head underground at Lake Cave, look for gifts at Payet Gallery, and do a tasting at Willespie. To find maps, other places to visit, traveler tips, and more tourist information, refer to the Margaret River online day trip planner . Getting from Denmark to Margaret River by car takes about 4 hours. Other options: take a bus. Wrap up your sightseeing on the 25th (Mon) to allow time to travel back home.